This year, I've done something I thought about doing in years previous, and never had the motivation to do. I've signed up for Passion Color Joy's 30 Paintings in 30 Days. I'm borrowing a theme from my friends at Maker's Movement, and am using this as a time to explore "Home". 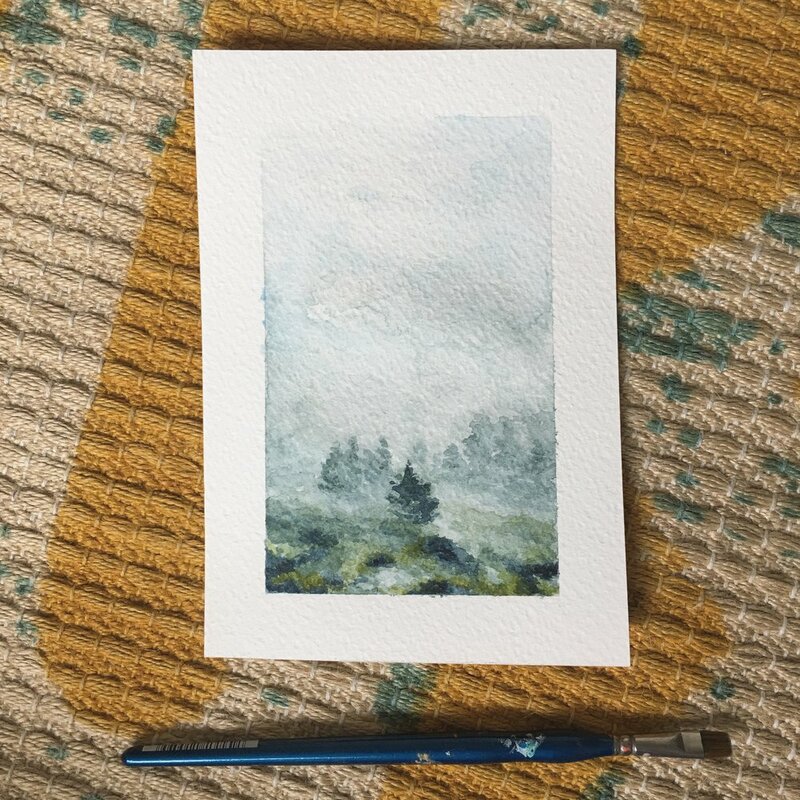 As a painter working primarily with landscapes and botanicals/flowers, I'm settling in to my new environment by painting it daily. The Pacific North West has always had a place in my heart, and I feel that my work is in a rhythm right now that just works. Have you read or listened to the 2009 interview with Ira Glass (you may know it from Saar Oz who used this interview to create "Nobody Tells This to Beginners")? 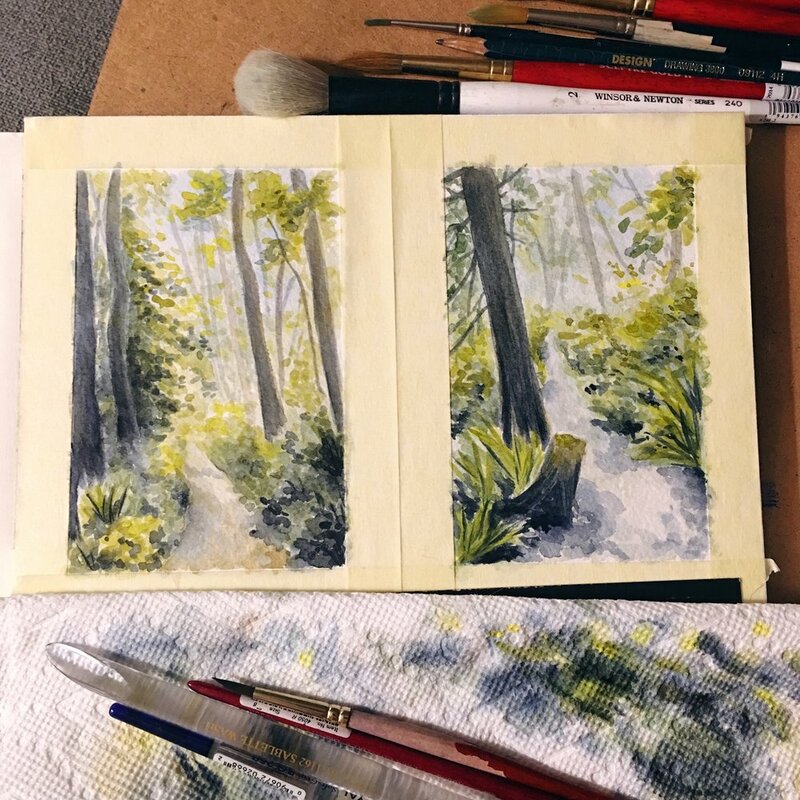 For most of my time painting post-grad, I've felt like I've been living in the gap where what I made didn't quite live up to the idea, the taste, and the high level of expectation I set for myself. Now that the dust has settled and we are starting to find our way in calling Washington home, I feel that gap closing. I am excited for the ways I will grow during this 30 day project, and am looking forward to updating you along the way. Currently, my plan is to work in watercolor in small pieces. 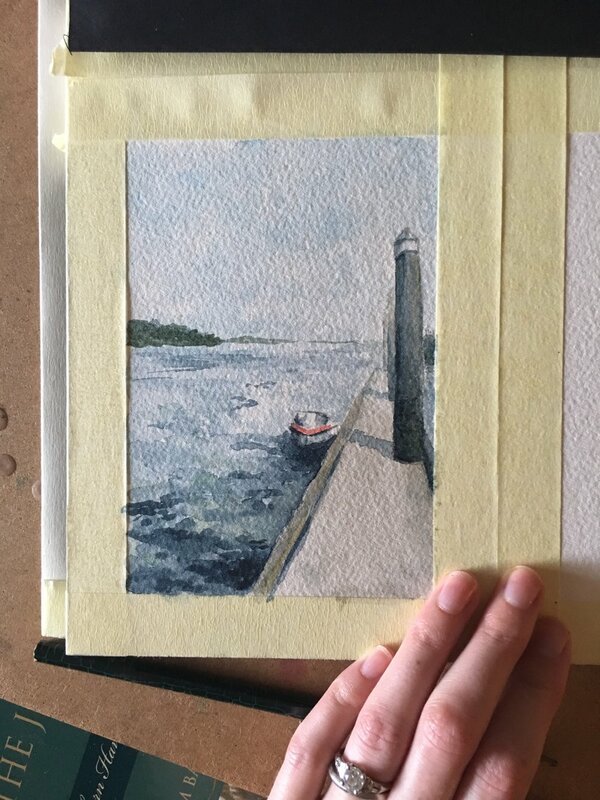 My assumption is that all pieces in these 30 days will be 5x7 on 140lb or 300lb watercolor paper (I've been switching between the those two weights). If you're interested in reserving one of these daily pieces along the way for purchase, send me an email at kait@larkspurandlaurel.com.